We’ve had a couple of long stage reports recently. This one doesn’t really warrant it. It was a messy sort of sprint finish as those looking to contest the win ran out of lead-out men early due to an urgent need to chase down Daniele Bennati who’d struck out alone with a couple of kilometres to go. Luxembourger Jempy Drucker was best able to maintain his speed and took the win. Drucker has never really won anything before, but he’s not up-and-coming – he’s 30. He took the RideLondon-Surrey one-day race last year and that’s about it. 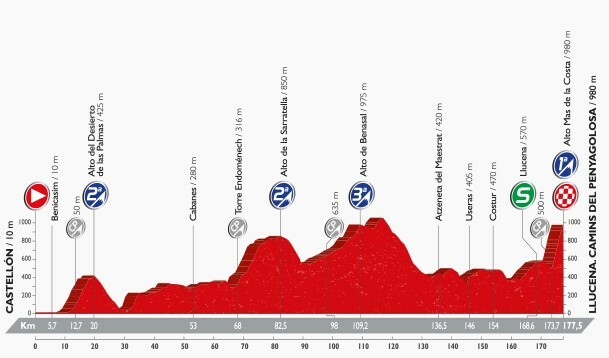 It’s actually a rest day today, but we’re then back in business with what should by now feel like a typical Vuelta stage on Wednesday. 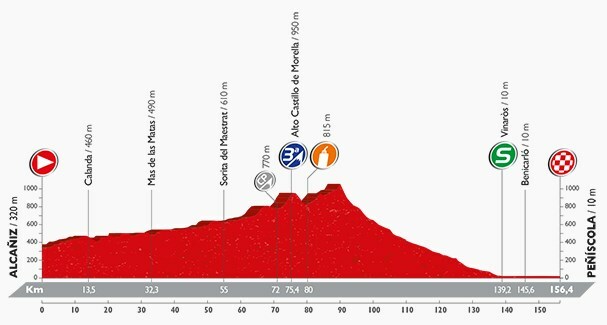 It’s three nothingy climbs before a summit finish which is 3.8km at 12.5%. Today’s stage term is ‘Alpine mountain ranges’. Somewhat confusingly, this term can apparently be applied to mountain chains other than the Alps – any formed in a period from 65 million years ago (Cretaceous) until the current day, in fact. These include the Pyrenees, the Catalan Coast, the Iberian Mountain Range and the Baetic Mountain Range.